We all need to make personal changes in our own lives. Maybe you want to lose weight or procrastinate less with schoolwork. But don’t ignore the environmental changes of our planet like climate change and animal endangerment. We know it’s important to recycle our bottles, paper, banana peels and more, but what really happens with our recycled material after we use them? Learn how to be an earth-crunchy student with some easy ways that put those post-consumer products to use. 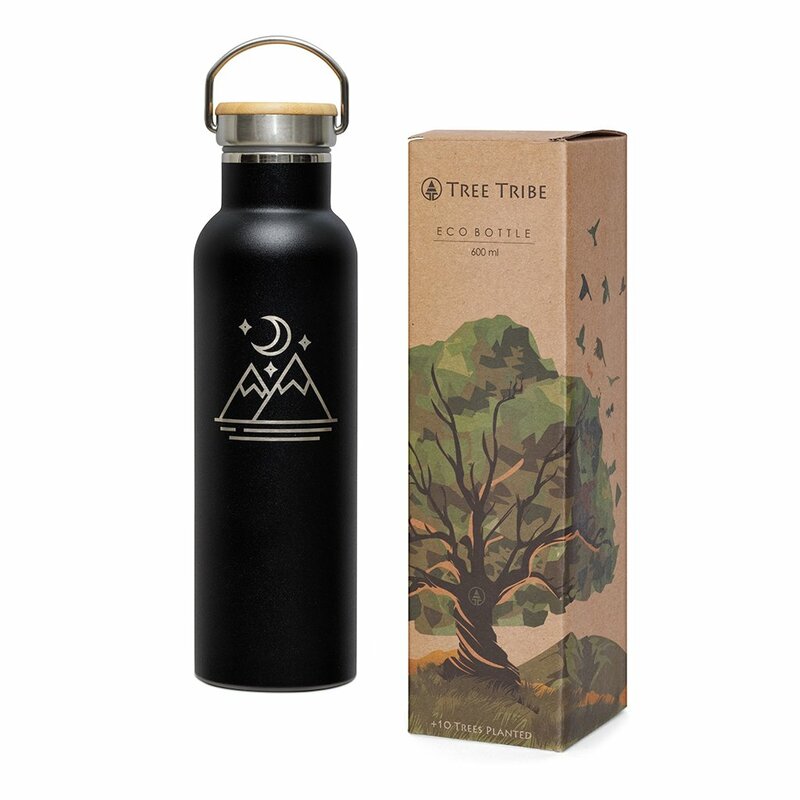 You need certain items for school regardless so why not buy eco-friendly school supplies? Check out the top 10 eco friendly school supplies that’ll make you feel good about using a notebook instead of your laptop for notes. Be trendy and eco-friendly. 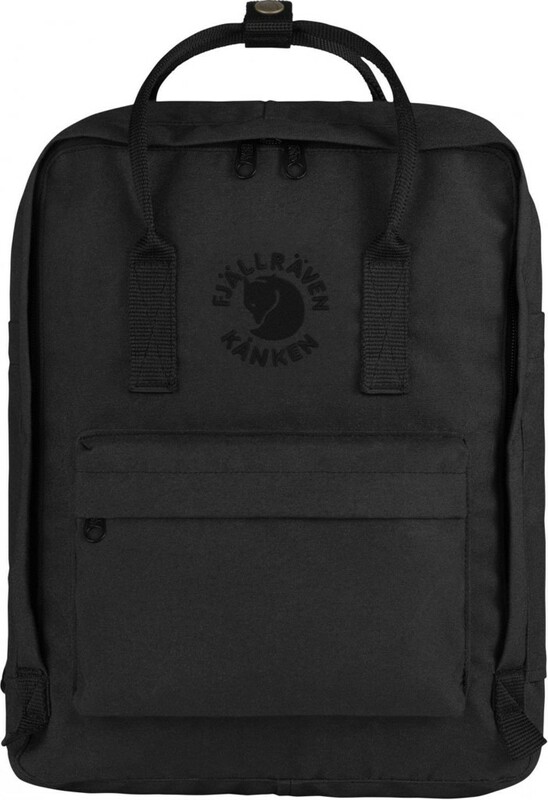 Fjallraven Kanken created a new backpack made from 100 percent polyester recycled from water bottles. The new backpack, Re-Kanken, features the traditional style of their well-known backpack with the same variety of colors. And your new backpack equals 11 plastic water bottles. Be an eco-friendly trendsetter that stirs a conversation and spends money while minimizing your carbon footprint. I own a Fjallraven, and it is the most versatile backpack I own. I use it for school, overnight trips, traveling across the country and the gym. Not only is it stylish, but also functional because of its space and lightweight. Helping the environment is just another plus. In college, we’re lucky if we find a pencil on the floor. That’s recycling, right? 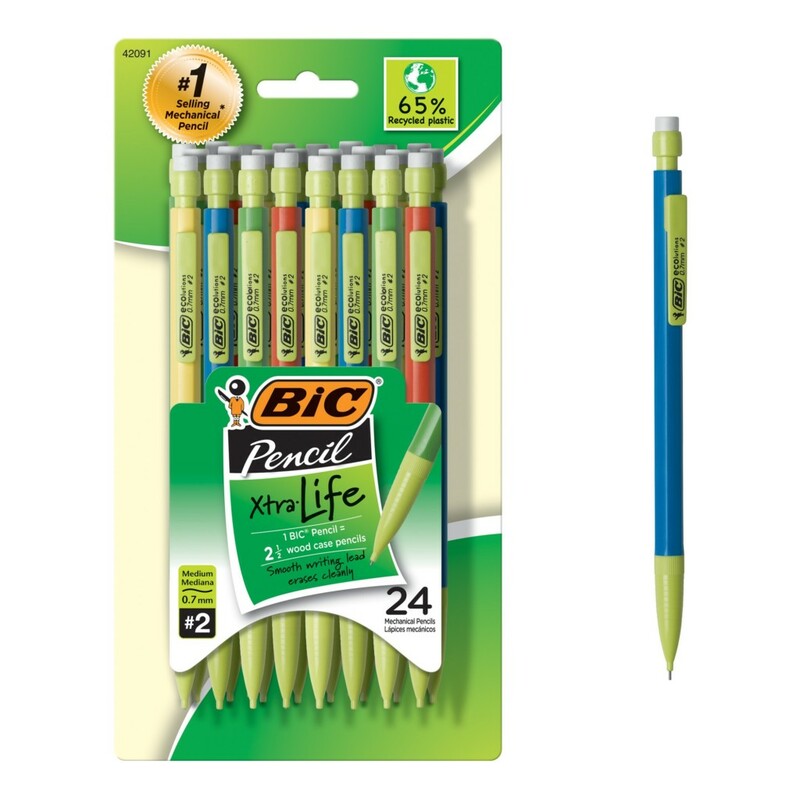 Invest in BIC’s Ecolutions Mechanical pencils, made with 65 percent recycled plastic. Don’t give up your fav quality writing utensil for something that needs sharpening in the middle of your ECON exam. Instead, reuse your already reusable plastic pencil while making the earth a little greener. “Recycled pencils are fun to use because they’re cute and stylish. It shows people we can reuse things to be functional,” said Pennsylvania State University senior Charlotte Rodriguez. Protect that $1,500 laptop with eco-friendly materials. 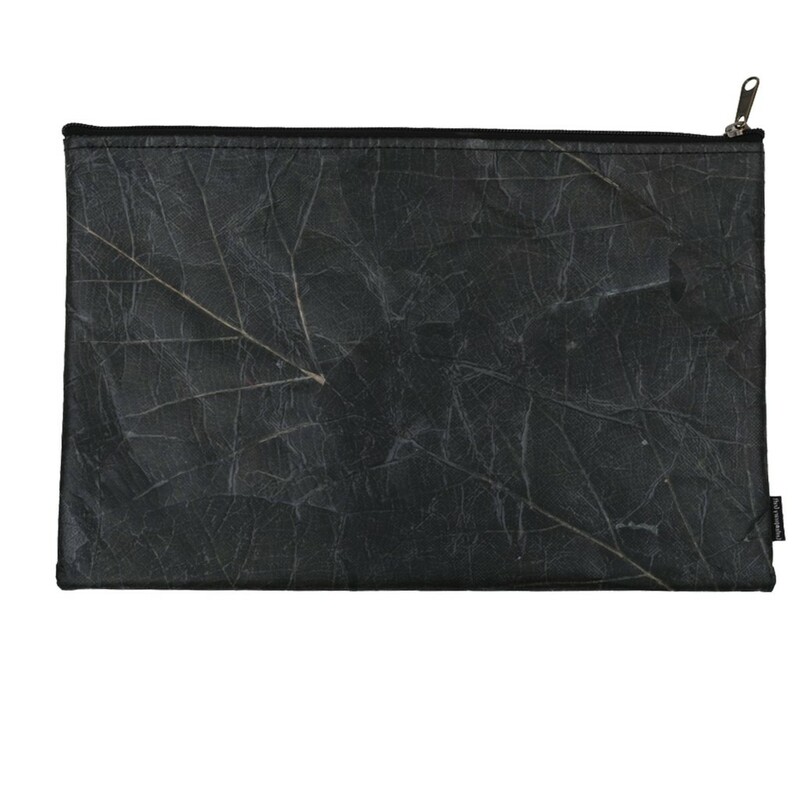 TommyLeaf protective sleeve cases use fallen leaves from all around the country. In a sustainable and cruelty-free manner, they process the material so the end result turns out strong and durable. Each one is unique and handmade with 100 percent natural waterproof resistance. University of Southern California student Andie Pham said, “This bag is exactly as described and looks even better in quality in person. My 13″ laptop fits just fine, with a little of room for some files.” Handcrafted by local communities, TommyLeaf empowers skilled artisans. Protect your phone while protecting the environment. Stylish and colorful accents make Peta iPhone cases not only attractive but also 100 percent biodegradable. This means you can literally compost them afterward. You must dispose of them in the appropriate composting environment such as an industrial compost facility or a backyard composter. Most universities do a great job of compost disposable areas, so ridding of your case shouldn’t be a problem. But your Peta case will also be long-lasting and dependable, with thin features and an easy grip. This product produces literally zero waste. Make the greener decision when you decide to protect the device that keeps you so culturally and environmentally connected. Save the environment and splurge on beauty. 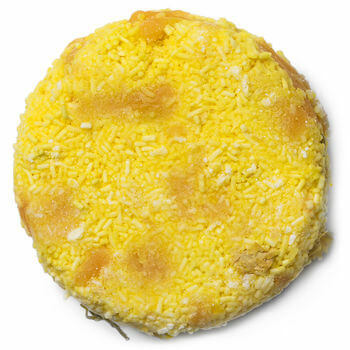 Lush recently came out with a 2-in-1 shampoo conditioner soap bar. No need for any more empty hair product bottles. Penn State senior Clara Trandelrio said, “It cleanses and conditions while saving the environment. It’s nice only having to depend on one product. I love using natural products free of parabens and sulfates, it is better for the environment and better for the hair.” Make your shower routine the least complex part of your hectic days. Upgrade your grade school journal to the eco-friendly alternative. Earth-lover and Penn State senior Sophia Braverman boughtDecomposition Books to take notes for her classes. “I actually bought this notebook because it was the cheaper option. I love the designs on the front, it reflects my creative side and also my eco-friendly attitude,” Braverman said. 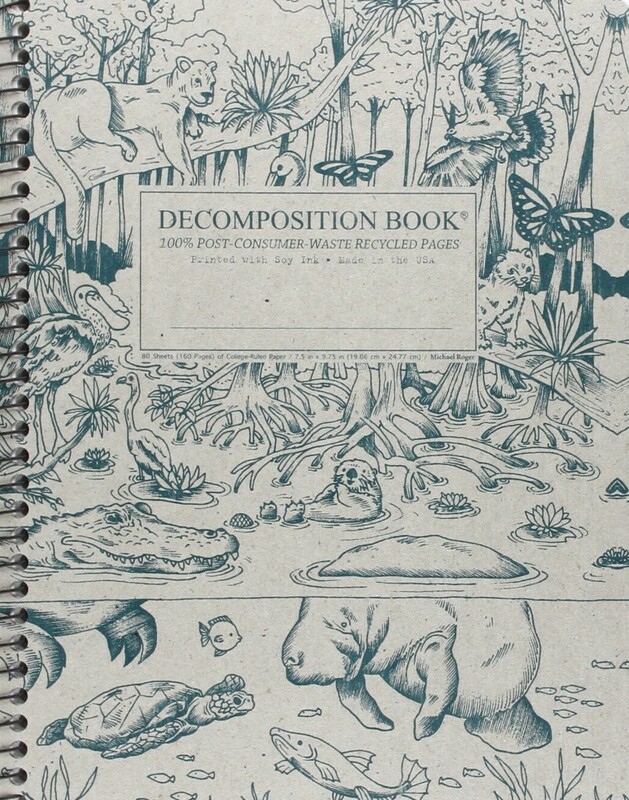 Made from 100 percent post-consumer recycled waste, Everglades Coil Bound Decomposition book processes their notebooks completely chlorine free. And the company prints with soy-ink so the paper can be recycled yet again. Now that is recycling. What exactly happens to your recycled water, soda, and tea plastic bottles? Well, brands such as Pilot B2P (bottle to pen) makes use of them. 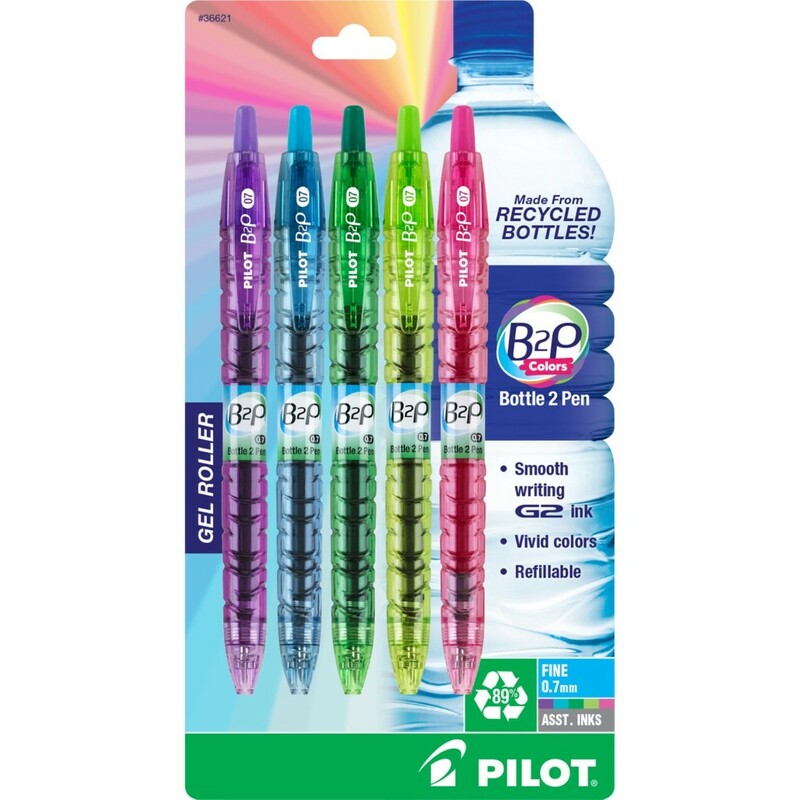 Considered the world’s first pens made from these recycled materials, this brand puts post-consumer products to use. These gel pens come in vibrant colors and you can refill them. You won’t want to lose these great writing utensils. Add some jazz to your dorm room desk with recycled art. Handmade with recycled metal materials, this pen holder catches people’s eyes. 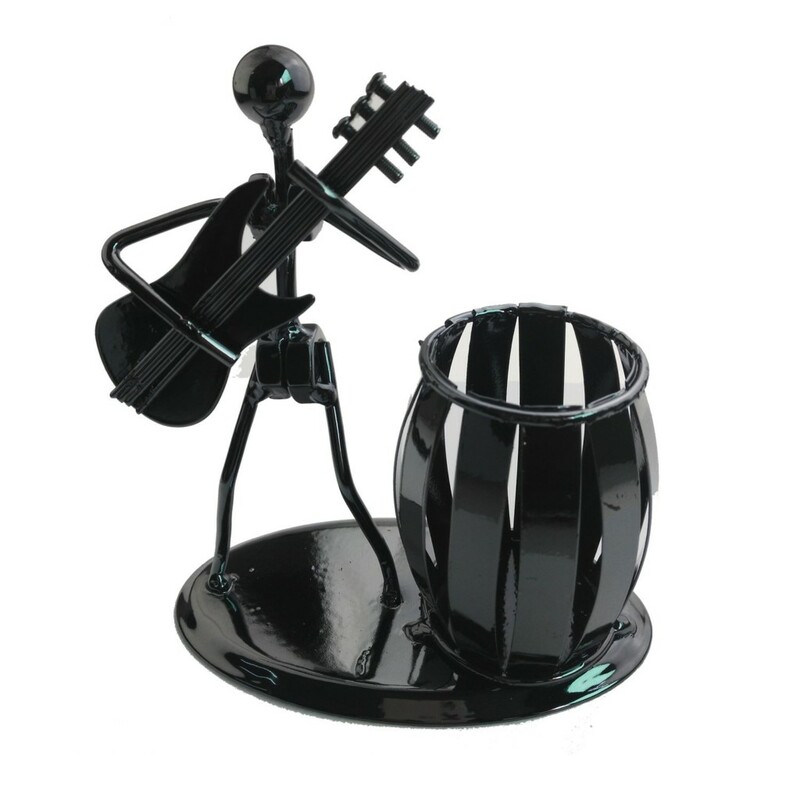 It features a metal stick figure playing guitar with a caddy storage next to it. Sturdy in weight, students use it for more than just pens and pencils. They use it as a paperweight or toothbrush holder. Made from different recycled pieces, each individual sculpture is unique. Buy it for yourself or gift it to a musically-inclined friend. Simplify your complicated life with the Liberty Recycled Gym Bag. Containing 50 percent recycled material, these simple duffle bags come in a variety of colors, like pink, orange, yellow, green, white and more. The minimalistic style makes this bag versatile for more than just gym. Use them for weekend trips. It’ll give you just enough space for your P.J.s and toiletry bag. Don’t pass up this deal for $10 a bag.